Julia, I can’t keep my eyes off of the beautiful painting you did on my kitchen wall! In fact, everyone who stops by mentions how much the decorative “branches” add to the bird pictures that they surround. Graceful lines and shapes just seem to flow from your hands no matter what you are painting or lettering. Thanks so much for the fun afternoon and for the masterpiece on my wall! 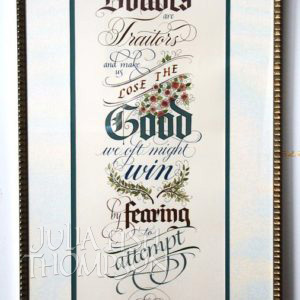 Julia is one of Indiana’s most talented calligraphers and decorative painters. She has very generously shared that talent with the volunteer community. 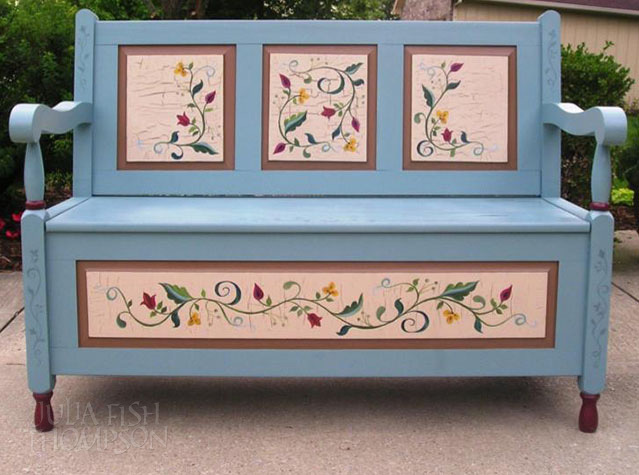 Her imaginative, beautifully painted chairs have been eagerly awaited each year at the Chairish the Children Auction benefiting the Villages of Indiana, who serve foster children and their families. 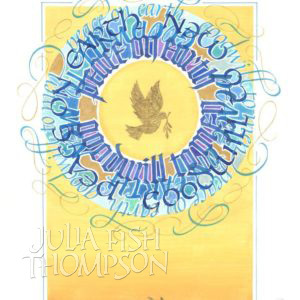 Julia’s pieces are always exquisite and showcase her innate style and talent. Our home has a more beautiful feel with Julia’s artwork on the walls! We have had countless people compliment the lovely quotes we asked her to write in different rooms around our home! 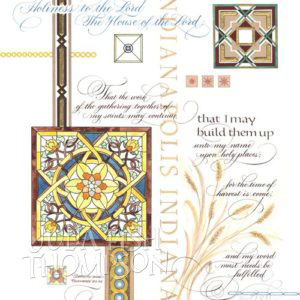 Julia’s talent of writing and abilities with artwork are very captivating! It is usually the first thing people comment on when they come into our home. “That is beautiful! Who wrote that? 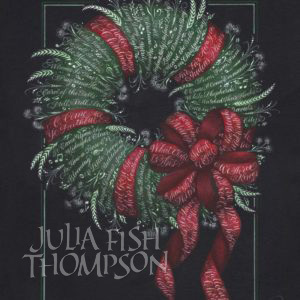 I love her work!” Julia has a charming, very pleasing personality which endears her to you as she paints! She is honest, kind, and trustworthy along with being a gifted artist! Julia has created three pieces of art for me. 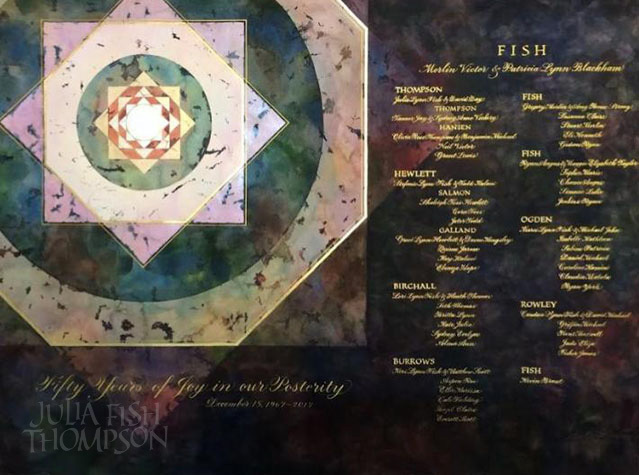 These all involve calligraphy and in two of them she put in a special touch of musical selections because of our musical family. They are very special to us and I enjoy seeing them every night in our bedroom. 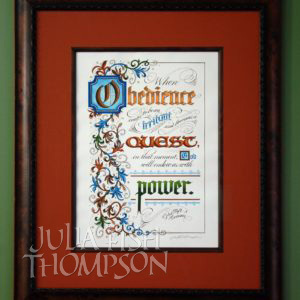 Julia has done calligraphy as well as decorative painting in several areas in our home, including our children’s bedrooms. She has the unique talent of being able to assess each child’s personality and tastes in order to personalize these rooms. This applies as well to the rooms shared by all family members (dining room, kitchen, etc.). 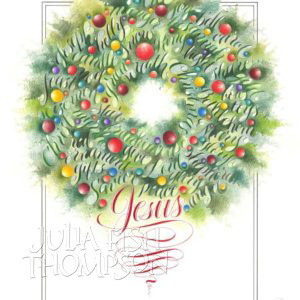 Additionally, Julia has been a great resource in pulling together all the decorating in our home. 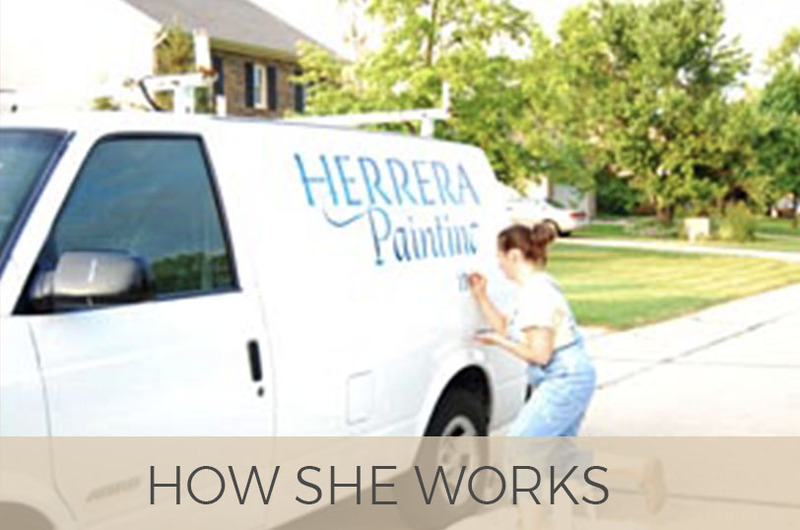 She has helped us with everything from choosing paint colors to arranging furniture and accessorizing. Julia is always great to work with. She is intuitive about our taste, our styles and what would work well with our current decorating scheme. She is open to ideas but always has great suggestions when we don’t have a particular idea in mind. She does beautiful calligraphy which adds unique beauty to our home. 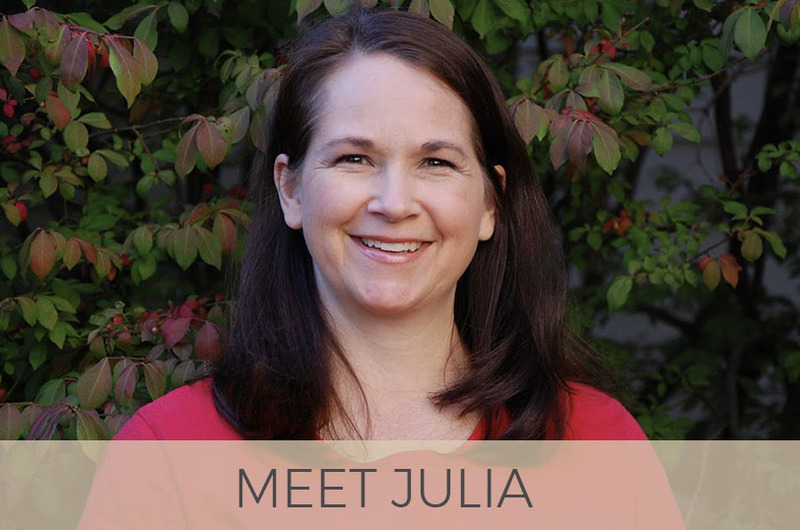 Julia is a gifted artist and her talents would be an asset to any family. We had the pleasure of having Julia in our home to do a beautiful Tuscan landscape in our dining room. From start to finish, Julia was a pleasure to work with. We spoke on the phone a bit before she came to the house so that she could get an understanding of what we were interested in. From there, she went to the library and brought several picture books with some suggestions based on our conversation. While she was here, she took some time to get to know us to get a feel for our family and the rest of our house so that she could integrate our style into her work and ensure that it would mesh. She had thoughtful suggestions that helped shape our ideas, but was never overbearing. She also had several ideas for how to move some of the other artwork in our house around to accentuate each piece. Finally, she was also well organized, efficient, punctual and most of all pleasant and fun! We plan to have Julia back to paint my daughter’s room after we move her over the summer into another room! Julia did the lettering and design for our wedding invitations a couple of years ago. Working with her was so easy – she always responded quickly and was very attentive to our desires and feedback. The final product was a unique work of art that was exactly what we wanted, even though we weren’t even sure what that was when we started! Thanks, Julia! Julia is an amazing, gifted artist and individual. She is a great at listening and communicating to accurately understand her clients needs and wants. She is creative and willing to think “outside the box.” She is a perfectionist and her quality of work reflects that. She is constantly learning, practicing, and growing; I’m always amazed by her dedication to excel at her craft and improve her talents. We have created and crafted together since childhood; what fun, happy memories! I am so blessed to have her beautiful art grace my home and her knowledge and wisdom bless my life. Thank you Julia for your beautiful work! 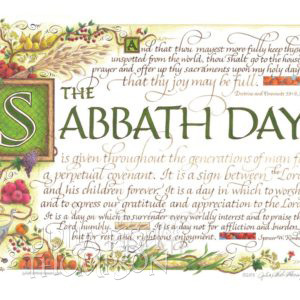 We love the way you personalized our Mexican beach house with vibrant colors and fancy letters–You captured what we wanted our home to signify–Faith Family & Friends! You were so professional and meticulous as you worked–totally open to our ideas–and very fun and easy to work with. We also appreciate the incredible beehive and lettering in our kitchen here in Mesa, AZ. 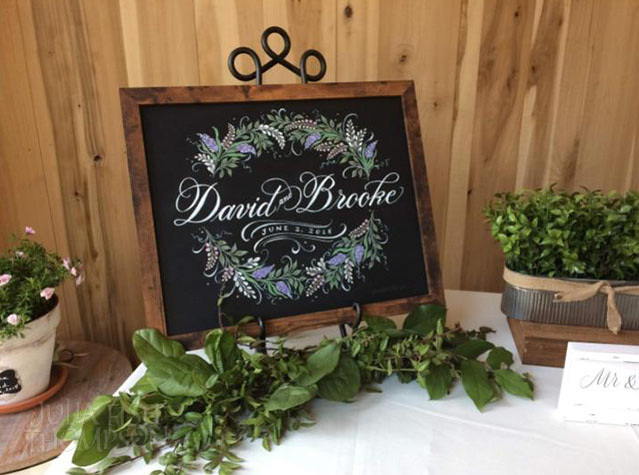 Your creativity and artistic talent really shine in the beautiful flowers and overall design–love the random bees all over our kitchen too—they are the favorites of our grandchildren. 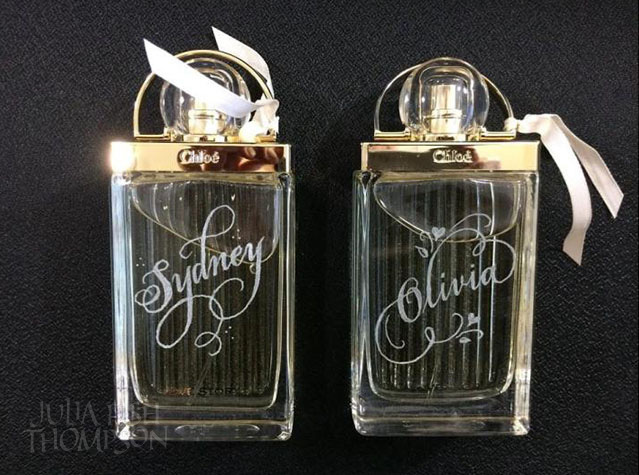 Finally we love the elegant lettering of our marriage — our last name and wedding date — beautiful and impressive. We loved working with you! You are extremely talented and creative and we loved having you in our homes! Thanks again!